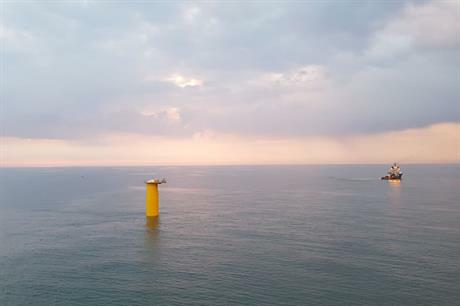 EUROPE: Recent project updates from Denmark's 600MW Kriegers Flak site, the Finnish Tahkoluoto development and two sites in UK waters. Substation supplier: Hollandia Offshore and Energinet.dk have signed a deal for the engineering, procurement and commissioning of the 600MW Kriegers Flak’s substations. Dredging date: Jan De Nul is about to begin dredging work at the site of Suomen Hyotytuuli Oy’s Tahkoluoto project. Topside loadout: Engie Fabricom and Iemants have completed the loadout of Burbo Bank Extension’s substation topside, at Engie Fabricom’s yard in Antwerp, the Netherlands. Halfway installed: Half of Dudgeon’s 67 foundations have been installed, with installation progressing at the rate of three a week from the Oleg Strashnov installation vessel.